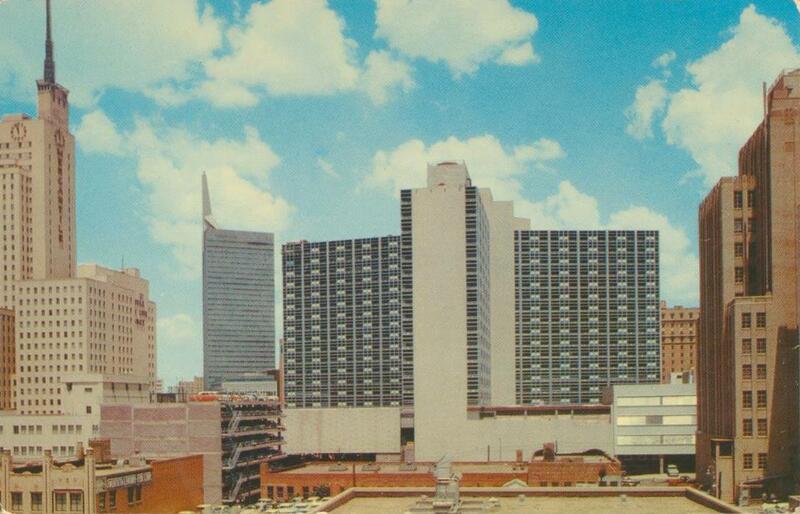 Dallas architecture at mid-century: the Mercantile Bank Building, the Republic Bank Building, the Statler-Hilton (from behind! ), and … a multi-level parking garage. Dallas is nothing if not a city full of banks, banks (and more banks), flashy hotels, and parking lots. Then and now. I was wondering if they might be one and the same.